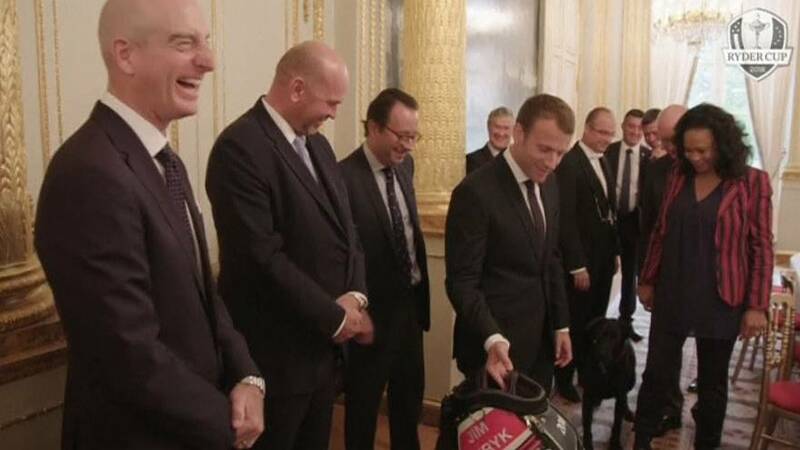 Europe’s Thomas Bjorn and his US counterpart Jim Furyk both attended the Elysée Palace where they presented the French leader with a golf bag. The biennal competition between Europe and the United States will take place in France for the first time from September 28-30, 2018. France is hoping to break golf’s elitist image in the country, the president of the organising committee said. “It’s a great honour, but also a lot of responsibility and the main reason we wanted to host this Ryder Cup is to break the elitist image golf sometimes still has in our country, and allow it to develop as it has in many of the world’s countries,” Pascal Grizot, the president of the organising committee, told Reuters. Furyk has represented the United States at the Ryder Cup nine times as a player, and Denmark’s Bjorn is the first Scandinavian to be handed the captaincy.